The Free Market Foundation (FMF) is alarmed about the increased assault on civil liberties and individual freedom in South Africa which will not only impact on individual lifestyle choices, but will impact significantly and negatively on businesses, the fiscus, transformation and the economy. This is strong language and deliberately so. Freedom, property rights and choice underpin a democracy and are tampered with to the detriment of ordinary people. Tobacco (and similar) regulations are the thin edge of the wedge. By banning smoking in public places and other draconian measures against tobacco use, the government is removing freedoms by stealth in the guise of safeguarding the nation’s health. Once lost, individual freedoms cannot easily be regained. These proposals need to be resisted before more freedoms are taken away while the nation sleepwalks into the nanny state. Removing individual freedoms is not the right way to prevent the diseases associated with an unhealthy lifestyle. Education should be the route by which a mature government influences the choices of adults in a democracy and encourages personal responsibility. In a free society, individuals are free to smoke tobacco, ingest sugar, eat meat, or do whatever it is they believe will give them satisfaction provided they do not harm others. That some people might smoke more than is good for their health, eat more sugar than is wise, eat more meat than turns out to be good for them, or indulge in “dangerous” sports, does not give government the right to prescribe to everyone what kind of habits they should follow. The move to ban smoking may also prevent SA from achieving desired socio-economic transformation. A total ban would pose a very serious threat to the survival of small and medium enterprises (SMEs) in the hospitality industry. This is a serious backward step since government has identified entrepreneurship and small business as vehicles for stimulating this country’s economic growth and turning our dire unemployment rates around. In addition, since much of the proposed tobacco and liquor regulations are law by decree (regulations drafted by bureaucrats) rather than parliamentary legislation, the FMF is concerned that bad laws will be ignored, not only by the public, but by the police. Societies that ignore bad laws; become societies that ignore good laws too. This undermines the rule of law, which is sacrosanct for democracy. 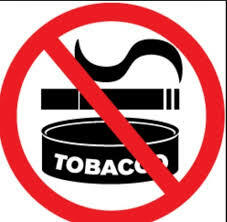 Ordinary South Africans, whether smokers or non-smokers, drinkers or non-drinkers, chocoholics or health-nuts, must take the moral high ground and say NO to proposed tobacco and liquor regulations, and to any other attempts by government to undermine freedom, property rights, and individual choice. Mandela wrote in Long Walk to Freedom “freedom is indivisible”. What he meant is that if some of us do not have liberty, none of us have liberty. It is our duty as citizens to stop the march of anti-freedom activists before it is too late. Today they may propose a limitation on freedom you support, but tomorrow it is likely to be your turn to have a freedom you value highly curtailed.